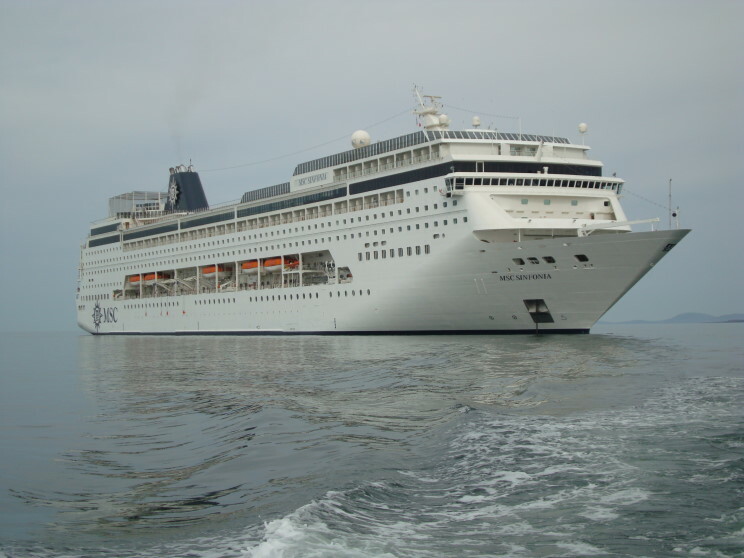 December 2008: MSC Sinfonia seen off Uruguay. 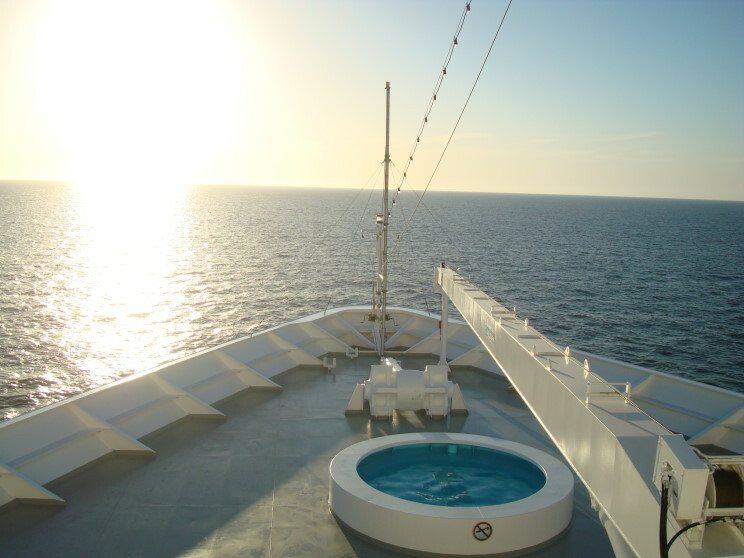 December 2008: Sunrise seen from the MSC Sinfonia. 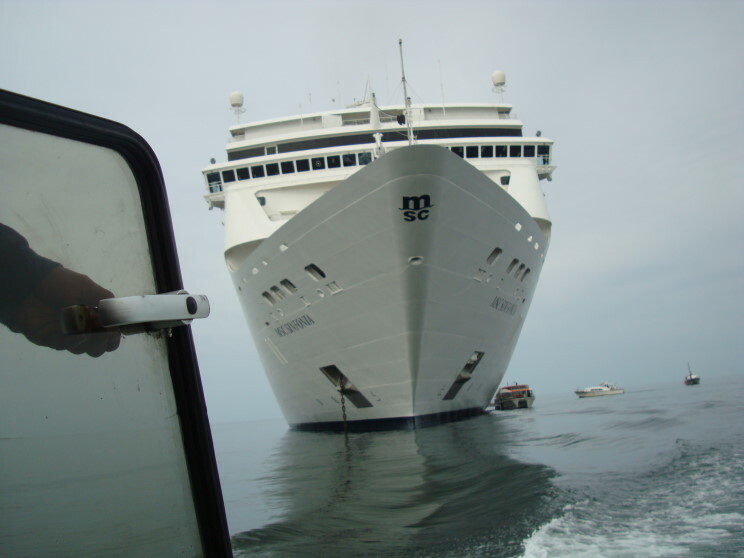 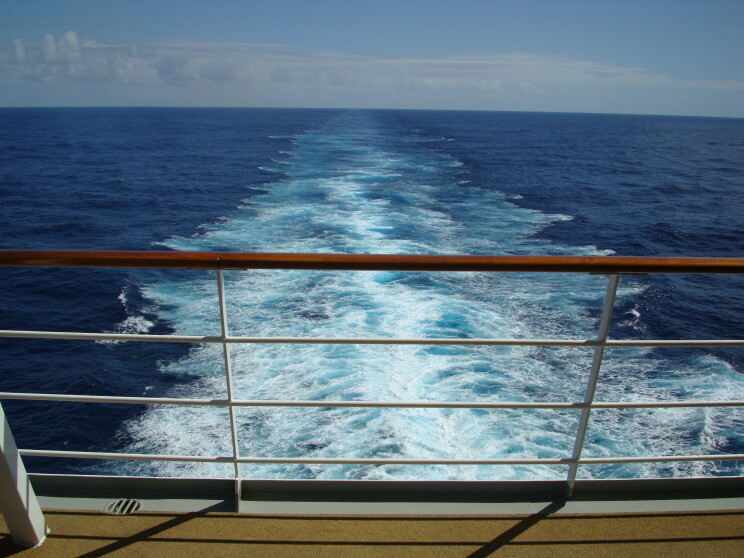 December 2008: The wake of MSC Sinfonia. 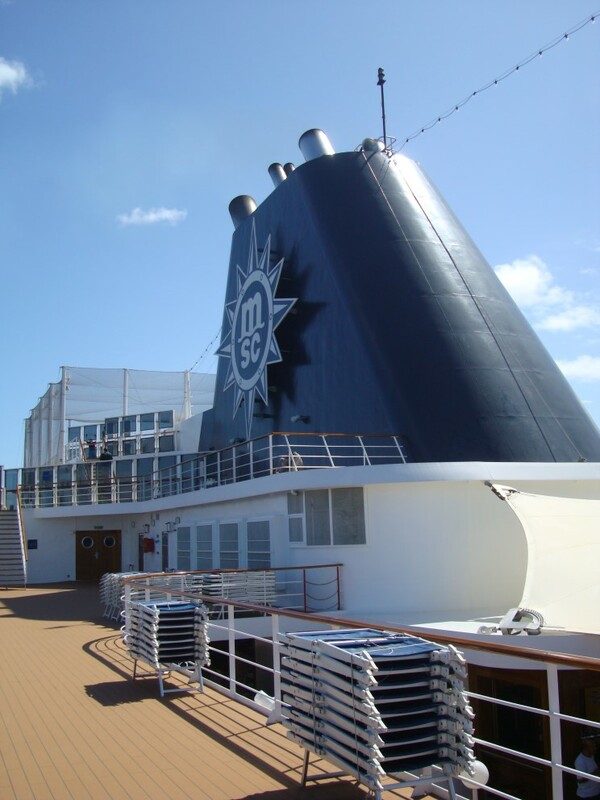 December 2008: The funnel of MSC Sinfonia.